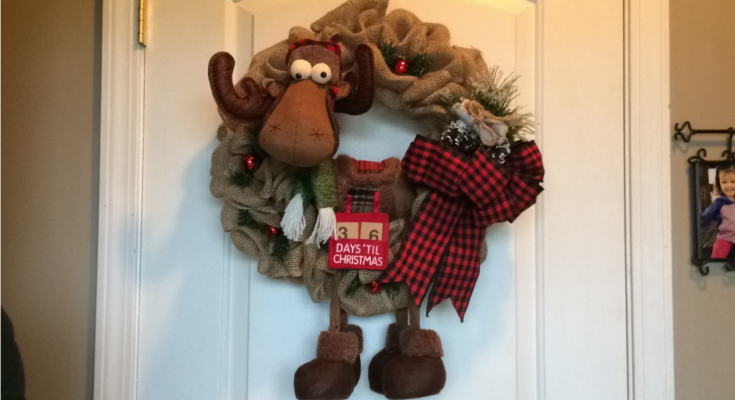 I saw a few people online create wreaths with this cute little guy and I HAD to find out where they were getting him! I finally found out you can get him at Dollar General for $10!!! I showed pictures of him to my mom and she did me a favor and went to the Dollar General while I was at school/work to hunt him down! The employees were super nice to her and helped her find him. 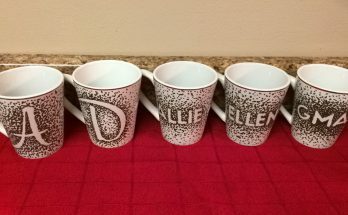 They ended up only having one left! SCORE! I was so inspired from other wreaths I had see online that I dug into our craft stash to figure out what would look good with him. His hat has the buffalo check plaid on it so this ribbon we had was perfect for him! Below I have a list of materials I used and where I got most of them. I also have some steps you can take to try and replicate what mine looks like. 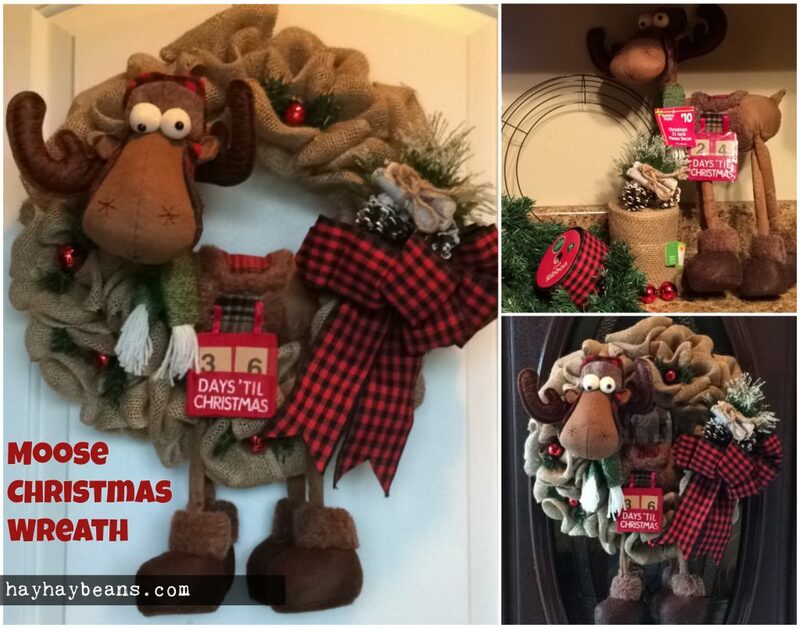 Hopefully this inspires you to make one or gives you ideas for other wreaths you want to create! Enjoy! The prices above are what I paid using coupons or items being on sale. They may differ depending on when you go and where you live. 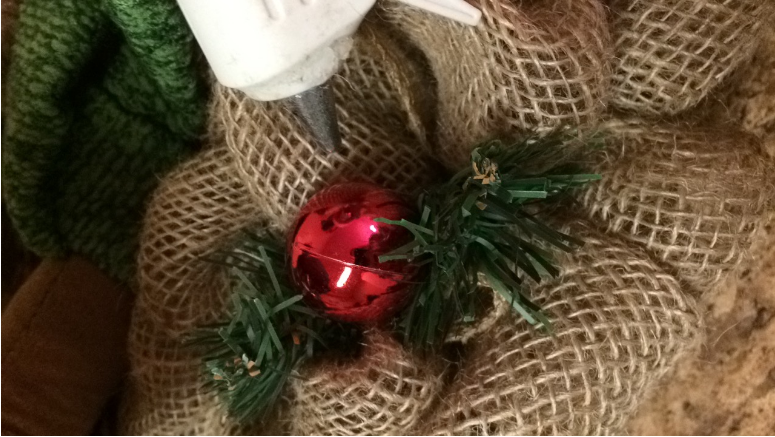 [Step 1]: Create your burlap wreath/create your bow. 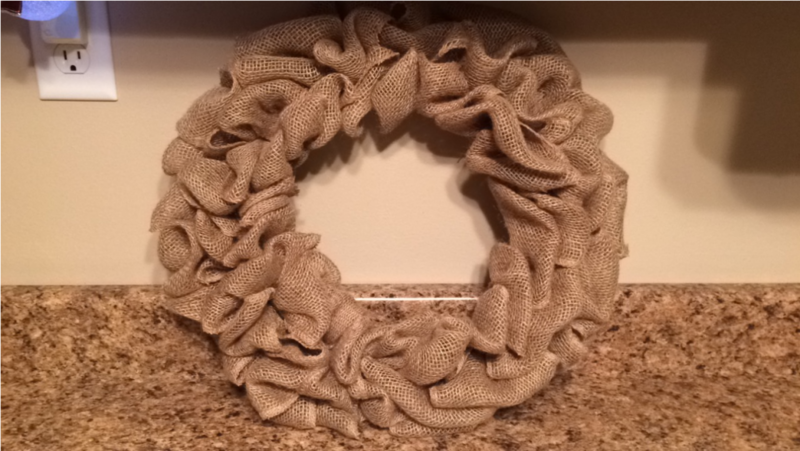 I have a tutorial/DIY post already on how to make a burlap wreath and a bow. This is linked HERE if you need help with that! There are also lots of videos on YouTube that shows you how to do it! The bows are super tricky for me so I usually have my mother do them for me. I’ve thought about investing in a ProBow one day to help with this. 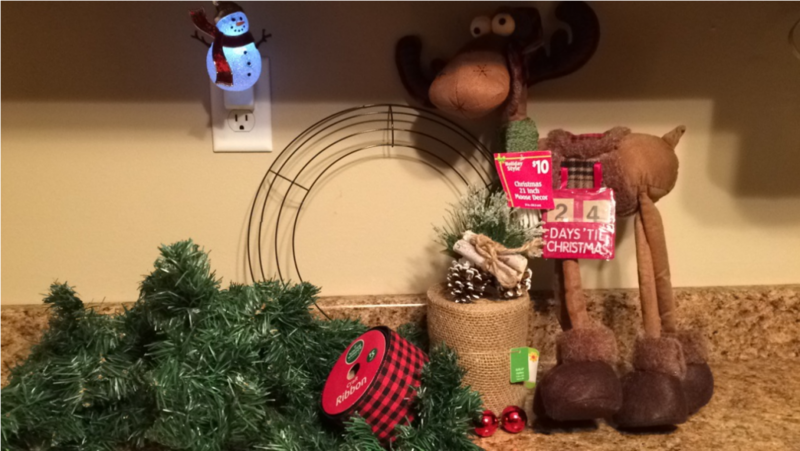 [Step 2]: Place the items on the wreath where you want them. Start by putting the moose on the wreath once you have the burlap on it. You’ll just sit him on it but have the wreath between his legs with his belly laying down on it. 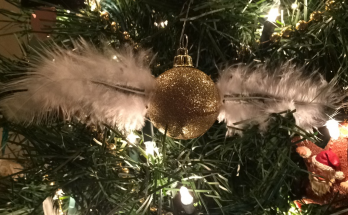 After that you can put your Christmas floral pick on and see where the bow will look best. This is all up to you on where you think everything should go. 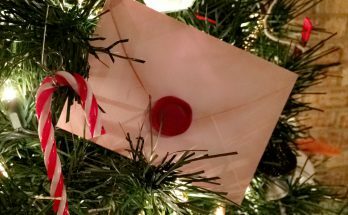 Once I had the moose, Christmas floral pick, and bow on it I then cut little pieces off of the green garland and decided it would look cute with 2 pieces and a red ornament in the middle. 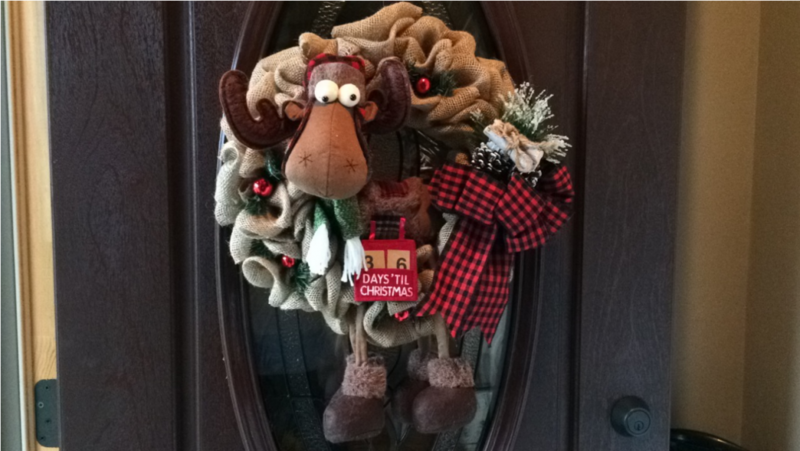 I placed 4 of these around the wreath to fill up some space. [Step 3]: Hot glue everything down. Once I was sure of where I wanted everything to be I brought out the hot glue gun. You’re finished! I love the way he turned out! He is so cute and pretty easy to make. There is so many ways you could make a wreath with him so I’m excited to see what other ideas people come up with while using him! 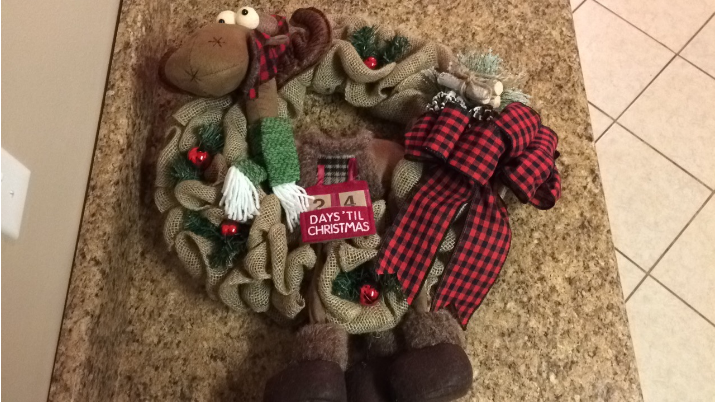 Leave me a comment below if you have this little guy at your local Dollar General and decide to make a wreath with him too!